I will start this entry off with an apology. 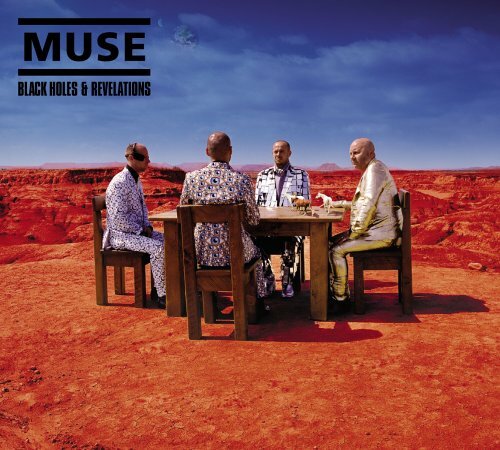 I am sorry to anyone reading this who hates cheap and easy puns or despises the band Muse, because within this blog there will be several lame (but kind of awesome) references to their equally lame (but also kind of awesome) 2006 album, Black Holes and Revelations. If you have been paying attention to the intergalactic side of the news today, then you will know why this reference is appropriate. If you haven’t, and the above image has you all worried that the world is about to be taken over by the eye of Sauron and his ferocious legions of Orcs, then what are you even doing on a journalism blog? So today, astronomers, scientists and nerds alike provided us simple folk with our first glimpse into the eye of a supermassive black hole (reference 1 – easy). The image, captured by a network of eight telescopes working in unison under the name ‘The Event Horizon Telescope’, has left space lovers like myself in awe, disbelief and elation. The existence of these celestial beasts is a question that has plagued the greatest of minds for years, so this current crop should take a bow (reference 2 – bit forced but it works) for their achievement. 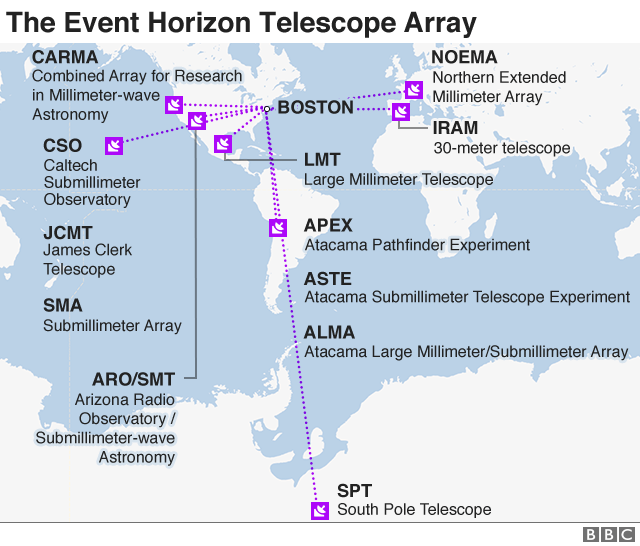 This breakthrough will likely pave the way for the exciting discovery of just what happens beyond the event horizon. But what is even more satisfying is the metaphors that today’s news offers up when trying to explain the current situation facing the UK in the shape of Brexit. The object, a mere 500 million trillion km away from Earth, feels as distant as the conclusion of the invincible Theresa May’s (reference 3 – brilliant) negotiations, as Donald Tusk and the EU27 agreed yet another extension of Article 50. 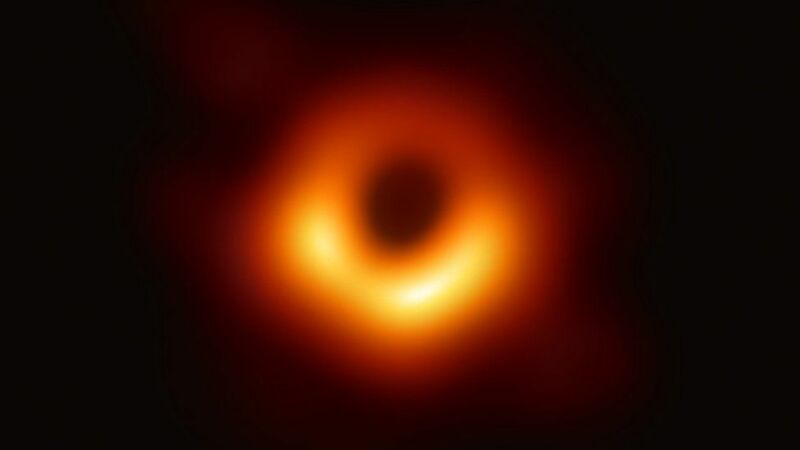 Its size, 40 billion km across (or three million times the size of the Earth), reflects the scale of the job that is on Mrs May’s hands and the weight that she carries like Frodo traversing Middle Earth for Mordor. And its inescapable and destructive (much like Brexit) density, 6.5 billion times the mass of the sun and one of the heaviest black holes thought to exist, could be used to reference any number of MPs still fortunate enough to take up their seats on either side of the house in Westminster, the city of delusion (reference 4 – desperate but I have to keep it up now). It is thought that time gets distorted and moves slower as the circling objects are pulled closer and closer to the centre of a black hole, an apposite synonym for where we currently stand with regards to Brexit. Party politics IS distorted. It feels like we are going around in circles discussing the backstop, Barnier and THAT bus. And the usual rules and conventions that govern politics have gone out the window, as we gaze into our country’s very own event horizon with seemingly little starlight (reference 5 – ok that was shocking) at the end of the tunnel. But, for all the doom and gloom, should we maintain our hopes and expectations (reference 6 – I’m done now and again, I’m sorry)? If our scientists can get around the table to discover and photograph an object that is lightyears away from our little home we call Earth, then surely our politicians can find a solution to Brexit that will suit a majority of people in this country and on the continent? At least before we get consumed by the black hole at the centre of our very own Milky Way? I have my reservations.